RIEGL Laser Measurement Systems Proudly Announces the Opening of its New Sales Office in Beijing, China. RIEGL laser scanners have been sold successfully for several years in China through its distribution partners, Five Star Electronics and Red China Geosystems, both located in Beijing. To support the growing demand for RIEGL products in China, RIEGL now has established a RIEGL CHINA main office in Beijing. 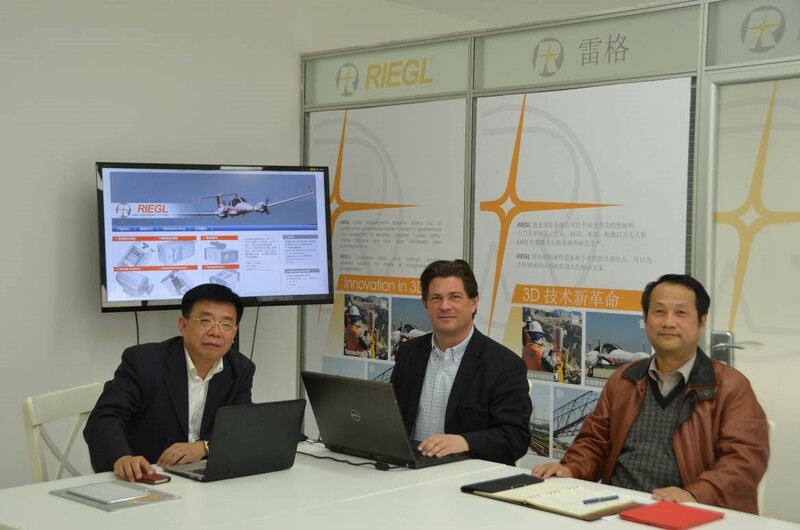 The closer support of the Chinese customers in cooperation with RIEGL CHINA’s local distribution partners will further promote and build up the already well-known RIEGL brand in China. After RIEGL USA, who is celebrating its 20th anniversary in the marketplace this year, and RIEGL JAPAN, a joint venture company established in 1997, RIEGL CHINA, established in March 2014, is now the youngest member in the international RIEGL group of companies. “China is one of our fastest growing markets. The opening of our Beijing office is a significant strengthening of our existing relationships; it will help us to develop this market further and moreover marks the continuation of building up the global RIEGL presence” said Johannes Riegl Jr., RIEGL CMO. “RIEGL CHINA’s managing director will be Nikolaus Studnicka, a highly responsible member of the RIEGL team for almost 20 years, especially selected to serve the needs of the Chinese market in the best possible way.” he added. RIEGL CHINA will act as the center of competence for RIEGL products in the Chinese market. The company’s focus will be to carry out marketing and sales related activities such as demo events, roadshows, training courses and attending major geospatial trade shows and conferences. The Beijing operations are also expected to achieve a better understanding of customer needs in China by receiving direct customer feedback in order to offer products and services that are tailored to local expectations. The Austrian based firm RIEGL Laser Measurement Systems is a performance leader in research, development and production of terrestrial, industrial, mobile, bathymetric, airborne and UAS-based laser scanning systems. RIEGL’s innovative hard- and software provides powerful solutions for nearly all imaginable fields of application. For more information, visit www.riegl.com.